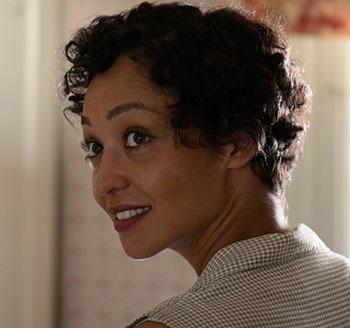 Loving v. Virginia was a landmark civil rights case and, therefore, includes all the ingredients for Hollywood to make an ostentatious, celebratory melodrama. 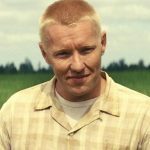 Thankfully, writer/director Jeff Nichols takes a unique approach, focusing on the family central to the litigation as simple, decent folks who just want to be together, instead of classifying them as plaintiffs or pumping them up as metaphorical change agents. 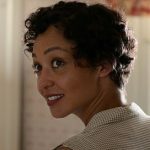 Richard Loving and Mildred Jeter (Joel Edgerton and Ruth Negga) leave their rural Virginia home in 1958 to wed out-of-state. Because he is white and she his black, their marriage is deemed illegal and each is given jail time for their misdeed. She, of course, stays in her cell longer. Thrown on the mercy of the court, the Lovings accept a deal to leave Virginia for no less than 25 years. Leaving behind their extended families, and the bucolic acre of land Richard just purchased to build a home and their life together, the couple spends several years on a congested Washington, DC block and has three children. Loving never settles into biography mode, however, and it never pauses to emphasize the high and low points or drag us by the hand though various dramatic beats. Rather, the film marinates in the minutiae with glances, embraces, and simple actions signifying just as much, and more, than major story developments. The calm tone is set immediately as the couple sits on their porch on a serene night, crickets chirping in dark. Mildred makes a major announcement about their relationship, which Richard responds to with quiet satisfaction. Nichols lingers on moments like dinner prep, car work, and several shots of Richard laboring as a bricklayer. There’s a rhythm to the routine that’s soothing and allows us to get more in tune with the leads despite their light amount of dialogue. Negga is especially entrancing, communicating with her beloved, her sister (Terri Abney, very good in her few scenes), and everyone else with subtle body language and a soft, unassuming inflection. She provides the film’s gentle heart and soul in a performance of powerful restraint. Modesty extents to moments of tension and major developments in the legal case. Obstructive bureaucrats, including a Virginia judge (David Jensen) and the local sheriff (Marton Csokas), aren’t over-the-top in their racism, and their flippant attitudes regarding acceptable customs of the time are shocking in their pragmatism. There are moments when eruptions of violence and intimidation feel possible and that’s enough to anger without getting graphic. Inspirational moments are also underplayed. With some simple prodding during the March on Washington, Mildred pens a letter to Robert Kennedy and is eventually contacted by ACLU lawyer Bernard Cohen (Nick Kroll, playing up idealism and inexperience), who takes the case to the Supreme Court. The few courtroom scenes are uncomplicated with little palpable drama. Justices of the highest court in the land are obscured from view and we hear only the most basic of arguments from Cohen. As it is throughout, the score by David Wingo, a frequent Nichols collaborator, is present but not obtrusive. 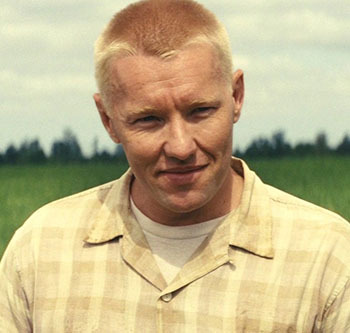 At times the plain storytelling borders on flat, though a lack of extreme theatrics allows the humanity, driven by remarkably honest performances from Negga and Edgerton, to shine through. Loving captures grand emotion and understanding in its controlled stillness. 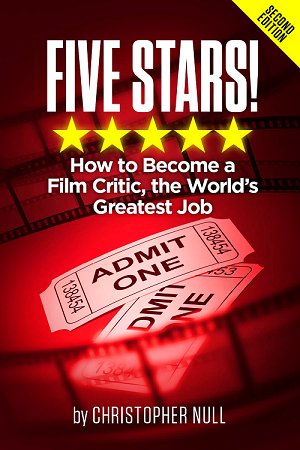 The Blu-ray includes several making-of featurettes, plus a commentary track from Nichols.